With winter approaching, now is the time to take care of home maintenance tasks so that your home is ready for colder weather. To make sure that your house is efficient and in good shape for the season, perform these tasks to prepare your home for winter. When temperatures fluctuate during fall, your home slightly expands and shrinks, leaving small gaps that can allow cold air to flow into your home and warm air to escape. To prepare your home for winter and make sure you’re not losing money, weatherstrip the doors and windows in your home. You can take a lit candle and move it slowly along the edges of your doors and windows to detect a draft. If the flame is pulled one way, then you know that a gap is letting the air through. There’s no sense in putting extra stress on your system and paying more for heating a drafty space. Another way to prepare your home for winter requires getting up into the attic. Warm air rises, and a house that has a sturdy, insulated attic helps keep that warm air within the house. Any drafts that you detect should be further examined by a professional to determine if the roof needs repair in those areas or more attic insulation is all you need. That being said, if you don’t have sufficient insulation in your attic, you should have some installed. Insulation helps maintain the desired room temperature in the house, so you can benefit from it in both the winter and summer seasons. Because of how difficult it can be to install, it’s best to have a team of professionals do this for you so it can be done quickly and correctly. 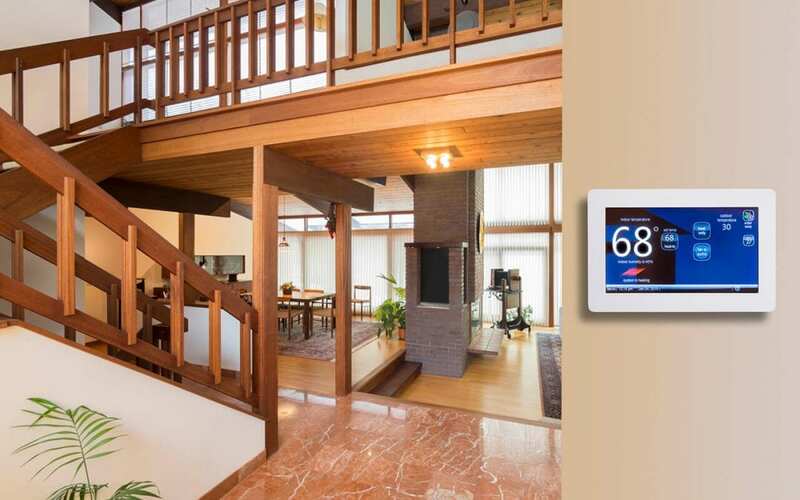 Programmable thermostats schedule the indoor temperature based around your routine. To save money on your energy bill in the winter, it’s a good idea to schedule the thermostat to lower temperatures when you are not home or sleeping and won’t notice the difference. To prepare your home for winter and make sure your family stays toasty, install a programmable thermostat. For those who already have one, make sure that it works before winter hits. The most important part of having your home prepared for winter is to make sure it is ready to keep your family warm and safe. Now is the time to prepare your home for winter with these tips and more. Guardian Home Inspection Services serves Southwest Michigan with home inspection services. Contact us to schedule an appointment.